Commercial drain maintenance services in Sittingbourne, Kent by the specialist team at JLH Drains including no dig repairs, CCTV surveys and pollution control. 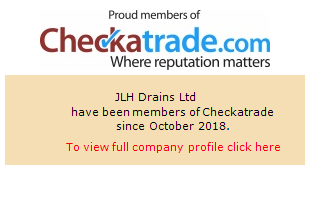 Working throughout Sittingbourne, Kent, JLH Drains provide a complete range of solutions to all domestic and commercial customers suffering problems with their drainage system. We provide a reactive, professional and technology based approach to search out cracked and blocked pipes quickly and with a minimum of fuss or expense. Whatever the problem, we can find an effective solution at the best possible price. You never know when a toilet or drain might become blocked and cause serious disruption to your business, at JLH Drains we work for many companies in Sittingbourne, Kent offering 24/7 service contracts to give them real peace of mind. Regular checks and surveys with technology like CCTV surveys helps us identify minor problems before they turn major and keep your drainage system fully functional. Once a very common part of the job, today drain excavation are usually a worst case scenario when every other no-dig possibility has been tried. Sometimes blockages just can’t be shifted by pressure washing or a tree root has really grown into the system and the only option is to access the pipe directly or replace it. When excavation is the only option, we always work hard to minimise the disruption, keep the site clean and tidy and wrap things up as quickly as possible. Drain repairs can be incredibly varied; most people are familiar with problems like blocked drains and cracked pipes, but what about crumbling brickworks, pipe re-benching or washed away fixing cement? For absolute peace of mind and a guarantee that any problem can be fixed quickly and professionally, JLH Drains are your ideal solution offering a comprehensive range of drain repair services with a focus on low cost, no-excavation methods. Everyone wants to avoid pipe excavations if they can help it, but make sure you get any drain re-lining carried out by experts like our team at JLH. Poorly carried out re-lining can cause blockages and at worst won’t even fix the initial problem. Using extensive experience, well trained professional staff and carrying out a full survey of the re-lining repair with CCTV afterwards means we can guarantee customers across Sittingbourne, Kent of an exceptional result.